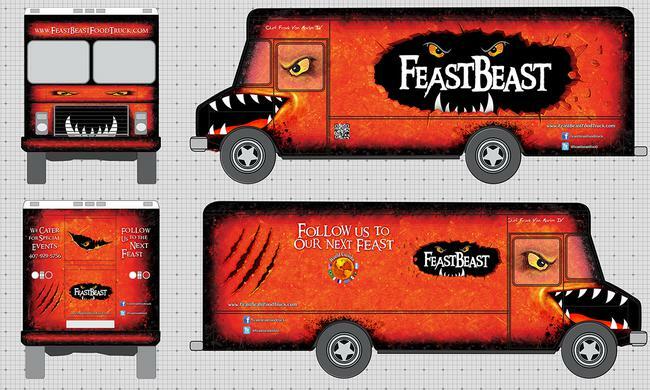 FeastBeast is a food truck serving central Florida, featuring gourmet dishes prepared by Chef Frank Van Marlen, and inspired by authentic Brazilian culture and cuisine. Create a brand that’s recognizably unique enough to stand out from the pack, in a rapidly growing and saturated market. The brand needed to be rooted in a foundation that was the truck itself. While the name “FeastBeast” spoke to satisfying the fierce hunger of customers, the central idea behind the brand became giving the truck a literal identity, as the personified “FeastBeast”. 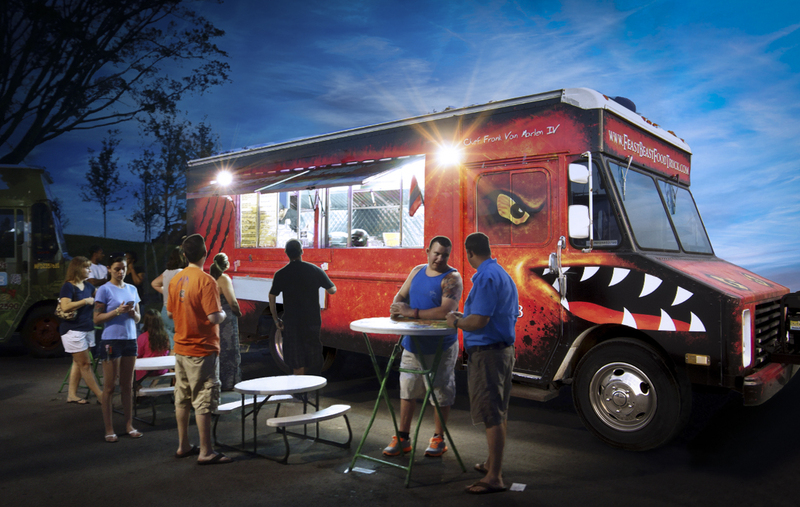 When the majority of business will come from food truck events, where all the completiion is present and fighting for attention, presentation really is everything. It was vital to create a vibrant, recognizable identity. 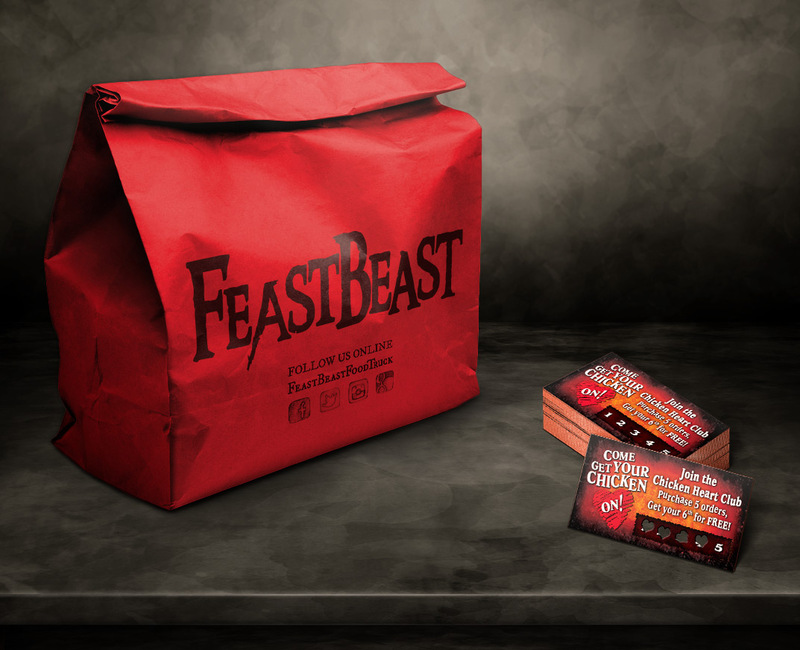 Whether parked at an event, driving through the city, or simply mentioned on social media - FeastBeast needed to stand out. When your design canvas is a large box truck, you run into some rather unique challenges. Accurate measurements were vital, along with accounting for intricate details such as lights, door seams, trimming, vents, and windows. 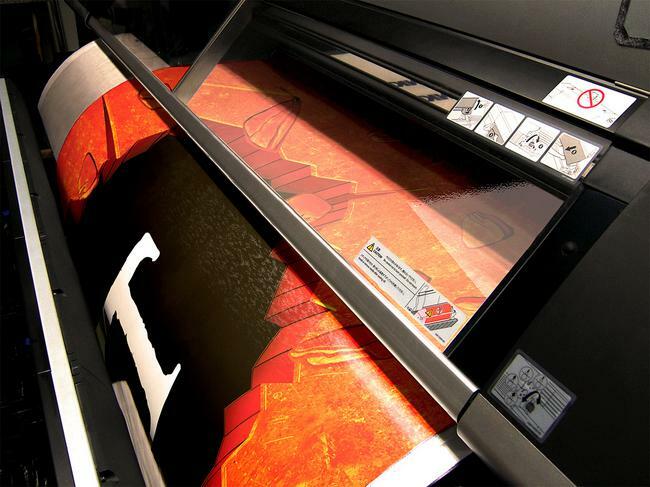 It helped working closely with the sign company that would be printing and applying the final vehicle wrap. But ultimately, it meant taking many reference photos, notes, and buying a longer tape measure. Sometimes, large scale designs can be forgiving. Billboards, banners and even sometimes posters, where the viewer will be at a distance, the work can be low resolution with less detail. But in the case of a food truck, the customers will be right next to the vehicle, with every fine detail in view. At over 23 feet long and nearly 8 feet wide, working in high resolutions at these sizes can be taxing on even high-end computers. But it’s important to not sacrifice quality, and maximize every capability. To conserve computing resources, it helps to work with artwork scaled down to smaller physical sizes, but proportionately higher resolutions. However, this adds even further complexity, but is a necessary process. The final file sizes amounted to over 10 GB of data.